PaintCare Inc. District of Columbia - PaintCare Inc.
PaintCare plans special, one-day paint drop-off events in the District of Columbia. These events are open to households and businesses (painting contractors, property managers, etc.) in the District. It’s more convenient than ever to recycle paint in the District of Columbia. We have recruited paint and hardware stores to take back paint. PaintCare has set up 9 convenient locations to drop off paint throughout the District. These drop-off sites are available to any household and business in the District, and they accept paint whenever they are open for business, all year-round. PaintCare sites accept house paint, primers, stains, sealers, and clear coatings (e.g., shellac and varnish), but not aerosols (spray cans), solvents, and products intended for industrial or non-architectural use. The products we accept are referred to as “PaintCare Products” or “architectural paint,” and they must be in containers that are no larger than 5 gallons in size. Paint must be in its original container and the container must have an original printed label and a secured lid. We cannot accept open or leaking cans. Please review the following detailed list to find out what will be accepted. Professional painting contractors are one of the groups most affected by PaintCare. If you are a painting contractor, please review the information below to learn more about PaintCare, the fees, and paint recycling services available from PaintCare. The District’s PaintCare program began on November 1, 2016. It is expected that contractors will pass the fees on to their customers in order to recoup the fees they pay on the product. When estimating jobs, contractors should take these fees into account by checking with your suppliers to make sure the quotes for paint products include the fees. You should also let your customers know that you include these fees in your quotes. 220 pounds is about 20-30 gallons of paint. When counting how much hazardous waste you generate in a month, oil-based paint counts (because by law it is a hazardous waste), but latex and other water-based paint does not count toward the 220 pound monthly total. 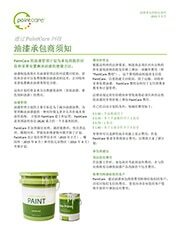 Fact Sheet: Paint Purchasers. 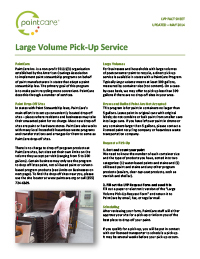 Provides an overview of the PaintCare program including fees, accepted products, limits on quantities accepted at drop-off sites, our large volume pick-up service, municipal HHW programs and special events. 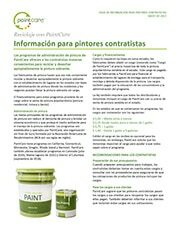 Fact Sheet: Paint Retailers. 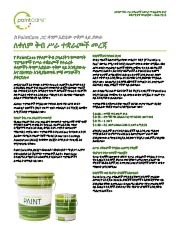 General Information for Paint Retailers: this fact sheet was provided to all paint retailers in the District to inform them of their responsibilities under the paint stewardship program. Fact Sheet: Painting Contractors. 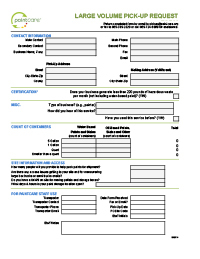 This document is helpful for retailers to explain the program to their customers who are painting contractors so that they can incorporate fees into job estimates. Mini Card (“Find a paint drop-off site”) available in Spanish. This one-page infographic (8.5″x11″) highlights the successes from the most recent reporting period for the District of Columbia PaintCare Program (January 1 to December 31, 2018). Please consider downloading and printing a copy of the infographic and then posting it for staff and the public at your business or organization. 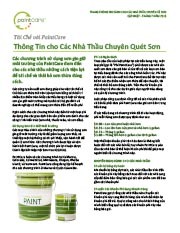 PaintCare prepares an annual report for the 12 months ending December 31. The first report for the District of Columbia also covers the final two months of 2016 because the program started in November 2016. PaintCare’s program plan for the District of Columbia was submitted to the District on April 1, 2016. This plan describes the operations, outreach, and other activities proposed for the DC Paint Stewardship Program. The District of Columbia PaintCare Program is a result of Act Number 20-501, enacted in 2015. The legislation is clarified through District regulations. The oversight agency for the District of Columbia paint stewardship program is the District Department of Energy and Environment.